Ana Navas-Acien is a physician-epidemiologist with a specialty in Preventive Medicine and Public Health and a long-term interest in the health consequences of widespread environmental exposures. 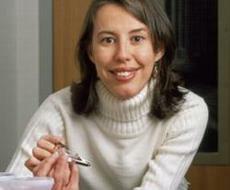 Based on an epidemiologic approach, her research investigates chronic health effects of trace metals (e.g. arsenic, lead, cadmium, selenium) and other major environmental exposures (secondhand tobacco smoke, air pollution). In addition to epidemiologic studies evaluating the adverse health effects of environmental exposures, Dr. Navas-Acien conducts resarch in support of progressive policies that reduce involuntary exposure to environmental toxicants.